In light of the hearings by the Supreme Court on Monday/Tuesday this week to revoke the individual mandate and thus the affordable healthcare act.. 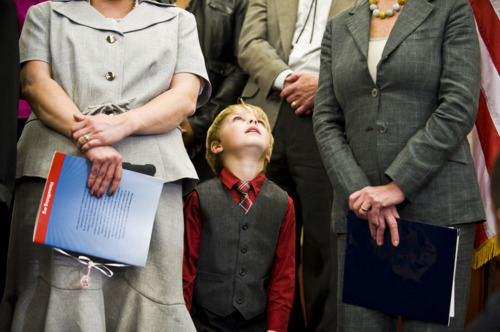 Here is an image of Ethan Williams, between his mother Felicia and Minority Leader Nancy Pelosi. Ethan underwent eight lifesaving operations before he was 20 lbs.